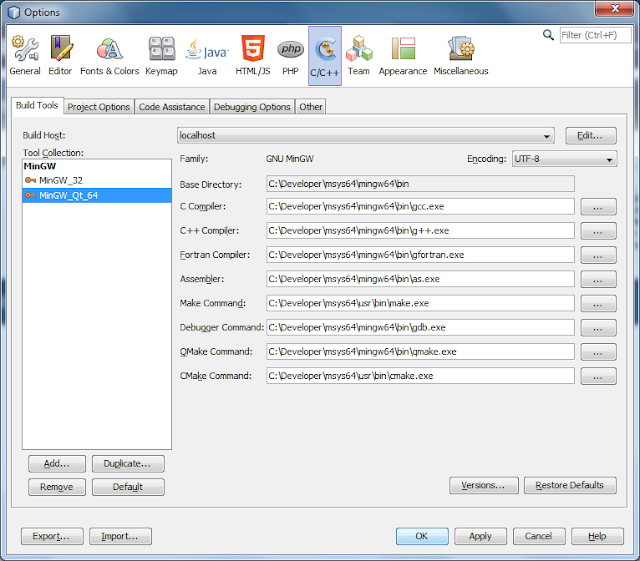 I will show you how to setup 64-bit Qt 5 on Windows to use with NetBeans IDE 7.4, 8.0 or higher. 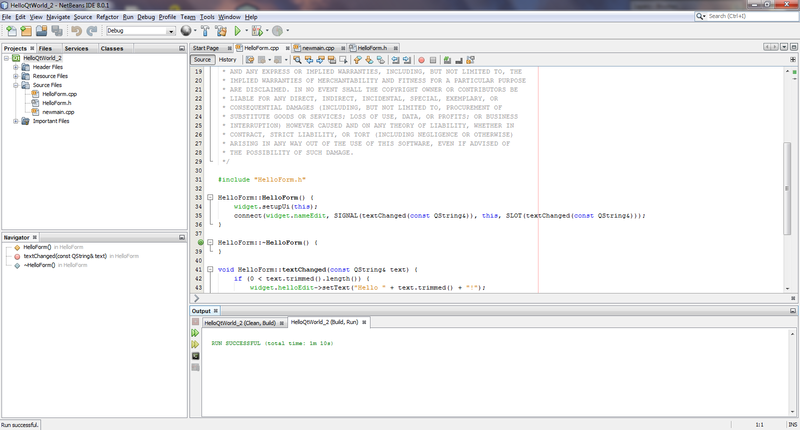 Oracle JDK 8 update 20 and NetBeans IDE 7.4, 8.0 or higher is required. I will not go over installing these as it is clearly documented. Next you will need to download the MSYS2 installer here. Make sure you download the 64-bit installer. It is good to have MSYS2 because it makes it easy to install and update MinGW-w64, GNU Make and other tools to build on Windows. Since as of this writing, there are no 64-bit Qt 5 Windows builds on the qt-project.org website, but we can install the MSYS2's 64-bit Qt 5 package. Next Install the 64-bit Qt 5 packages using MSYS2's pacman by running pacman -S mingw-w64-x86_64-qt5. 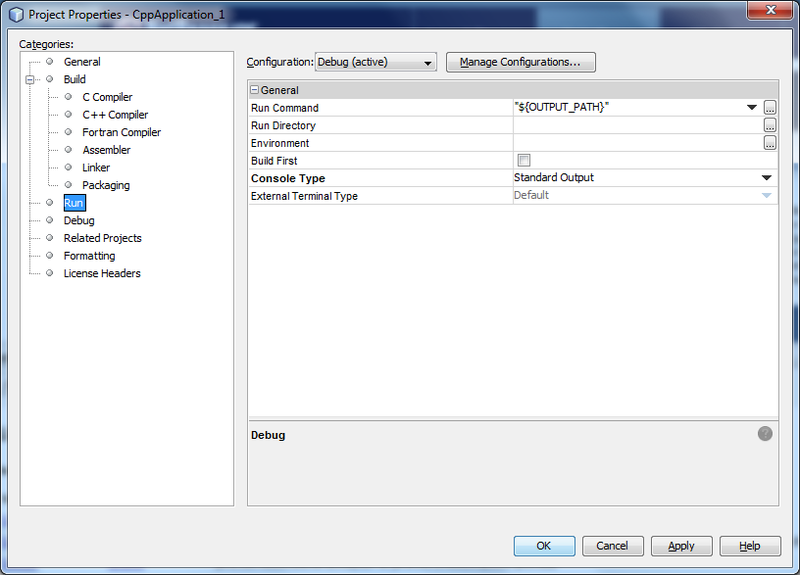 Then run pacman -S mingw-w64-x86_64-qt-creator to install the QT Creator related packages. 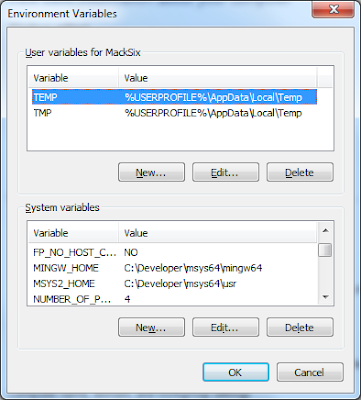 Optionally you can install the 32-bit packages if you have installed the MinGW-w32 packages. i.e. pacman -S mingw-w64-i686-qt5 mingw-w64-i686-qt-creator. 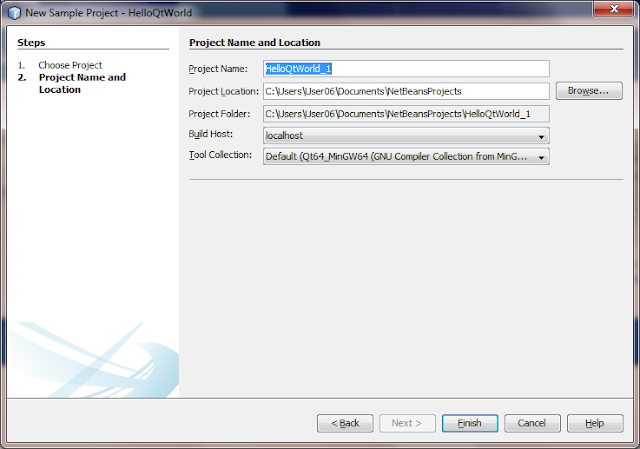 Next you need to add the MSYS2 and MinGW-w64 bin folder paths to the Windows system path. 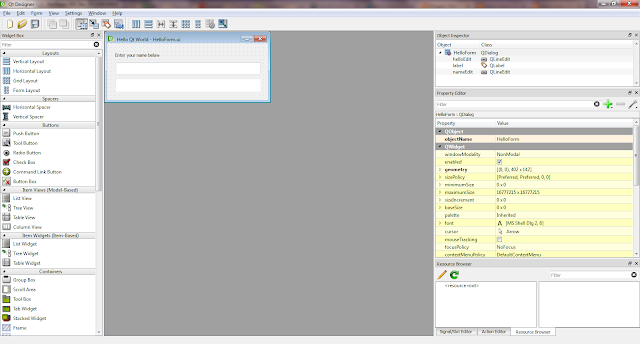 To do this in Windows 7, go to the Start Menu and search "advanced system" and click on "View Advanced System Settings". Then click on the "Environment Variables" button. Check to see if the MSYS2 and MinGW-w64 paths are valid by entering path in the Windows command prompt interpreter cmd.exe. Do not include any other paths to build tools of the same name before these new entries or your builds will fail! 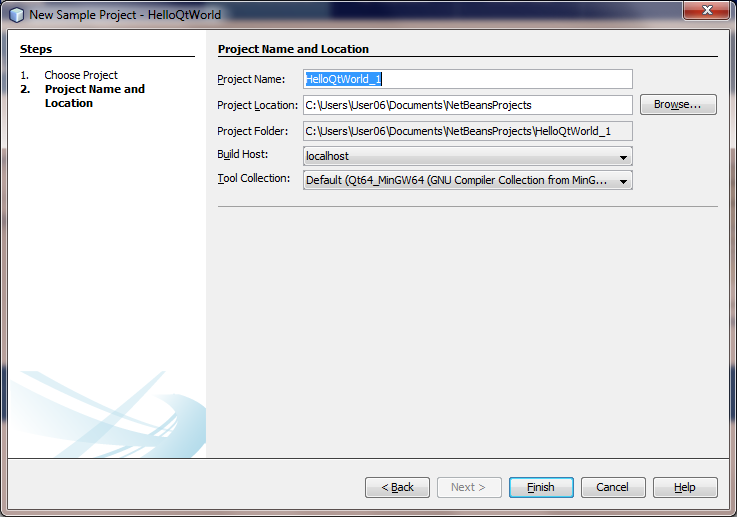 You will now see the new project in the NetBeans Project Window. Note that if you have installed the 32-bit tools, you will have to set up the NetBeans build tools for the 32-bit versions separate from the 64-bit versions. Also note that if you want to build on the command line, you must run C:\Developer\msys64\msys64_shell.bat to build 64-bit programs or C:\Developer\msys64\msys32_shell.bat to build 32-bit programs on the command line. I just discovered MSYS2 existed and didn't know much about it other than how to use pacman to install make.exe. 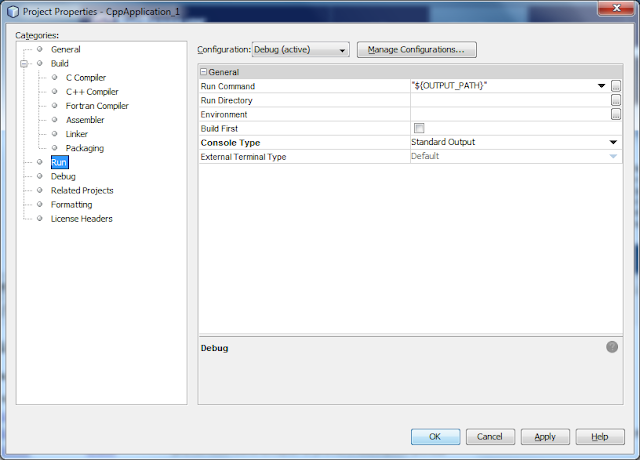 I don't work with Qt or C++, I just like installing the tools and getting them going in NetBeans. Thanks for the tips! I updated the article to indicate that Qt-x64 and MinGW-w64 can be installed with the MSYS2 package manager.